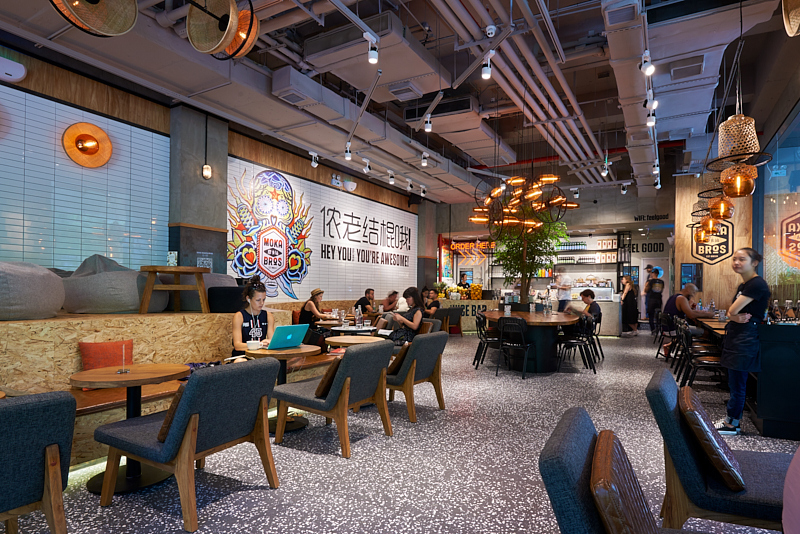 Straight outta Sanlitun Beijing, Moka Bros is a well-honed, market-tested power (and poke and smoothie) bowls, wraps, sandwiches, smoothies, juices, coffee, wine, breakfast, brunch place, with a clear identity and personality, great design, consistent service, and decent price points. 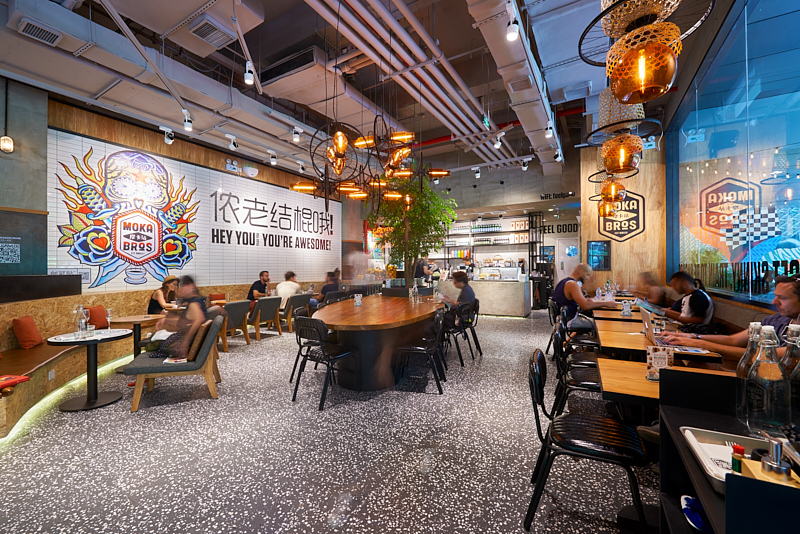 The Shanghai venue is one giant open-plan room with cafe seating, communal tables, and a raised platform thing for beanbag chairs. The menu is... damn. Really big. 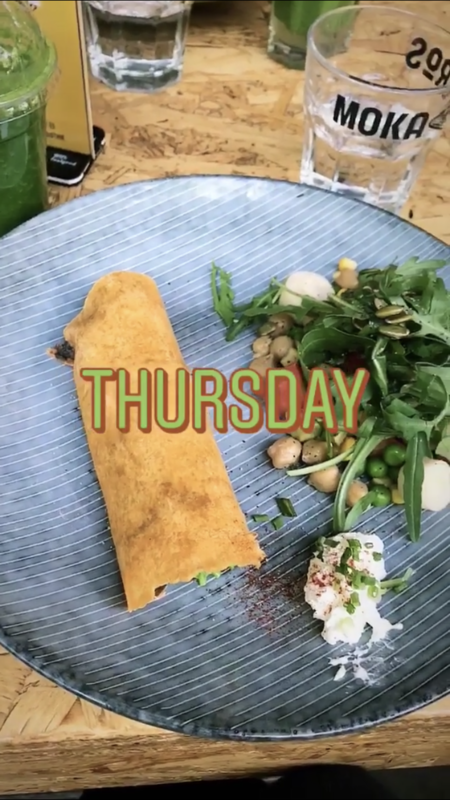 Dips, wraps and sandwiches, salads and Quinoas, a page of "Power Pokes," waffles section (3 variations), a "Smoothie Bowls" section. Basically everything is exchangeable. Main dishes seem to hover in the 70rmb area. A great addition to the neighborhood for people trying to eat healthy without repeating the same dishes every night. Other than the weird dance music in the evenings, I love this place. It’s a strange medley of everything I like. 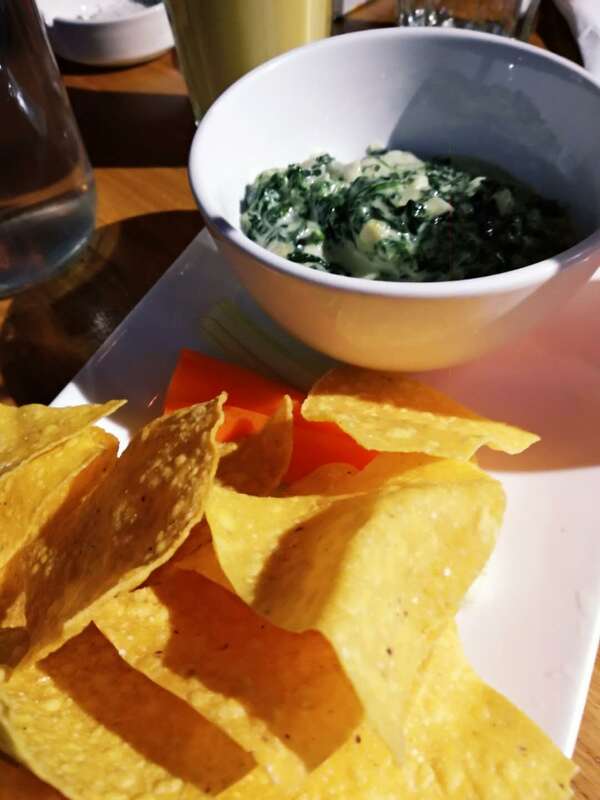 It’s part coffee shop, part health food restaurant, semi-fast food, and a killer happy hour. The service is no-frills ordering at the counter, and the food comes out within 10-15 minutes looking fresh and tasting delicious. There’s an interesting mix of people here depending on the time of day. 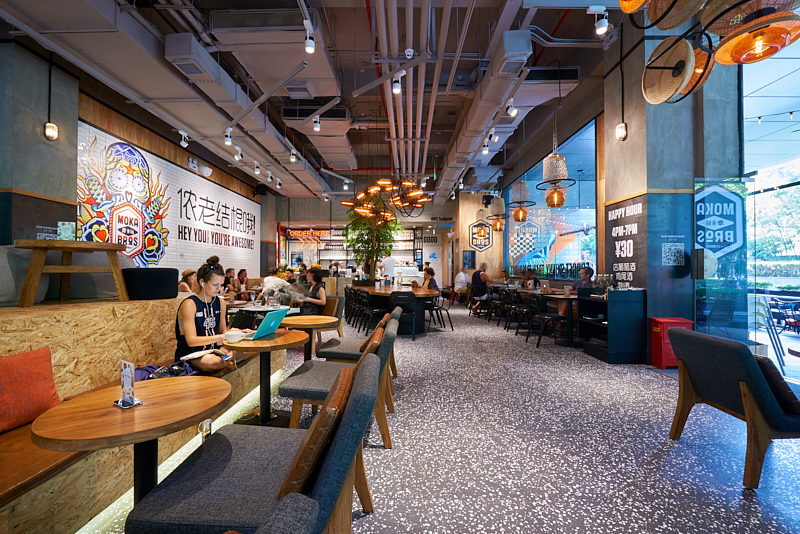 Sometimes you’ll see people typing away on laptops, groups of friends enjoying RMB 30 happy hour drinks, or the solo lunch-goer who just left a yoga class and needs something quick but decent to eat. 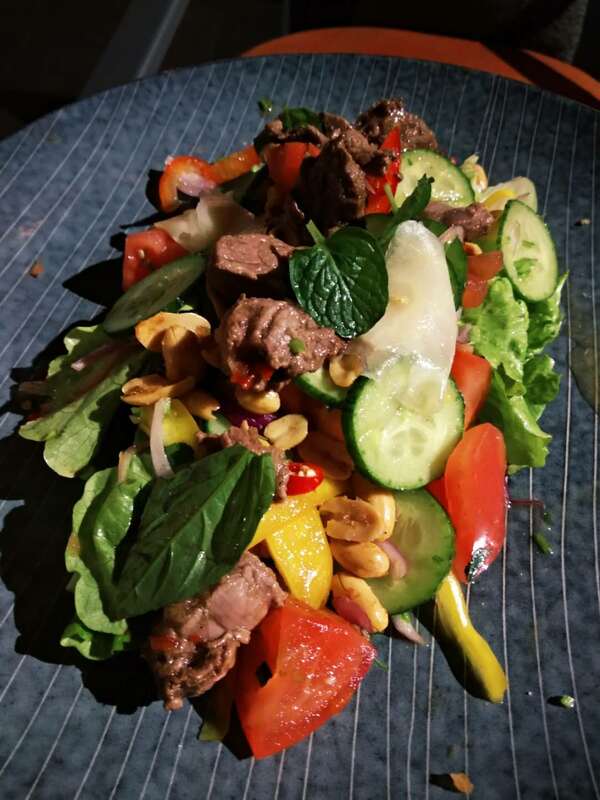 We sampled the Thai Beef Salad (RMB 58), the Tuna Salad (RMB 75), Spinach and Artichoke Dip (RMB 38), the Pick-Me-Up Smoothie (RMB 45), and a happy hour Aperol Spritz (RMB 30). A salad here is more than enough to satisfy, but I’m really bad at making singular food choices. 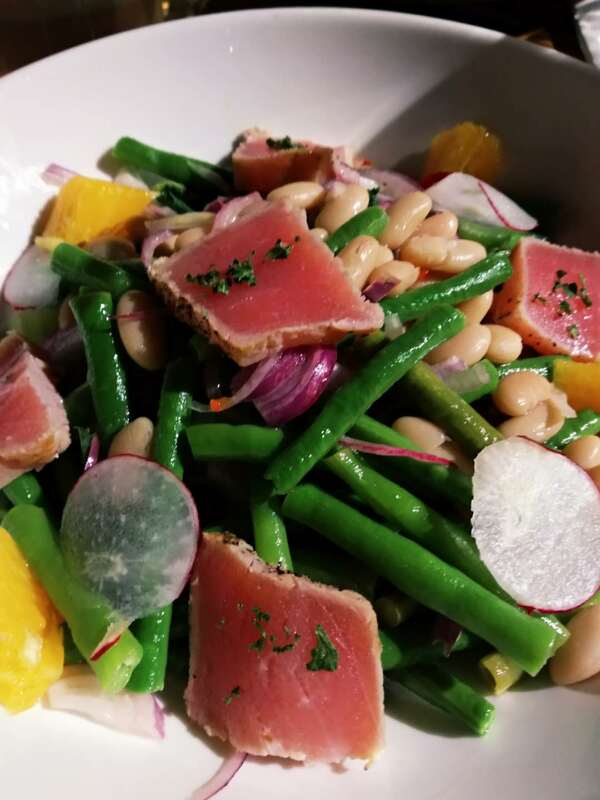 Compared to a chain like Wagas, the freshly seared tuna on the salad was the same quality and a good deal cheaper. I do recommend going during the day when it has a more chill vibe. It’s just very strange and abrasive music for the evening vibe. Don’t forget to bring your puppy along! Dogs are welcome here. Summary: Healthy food for real people who also sometimes make bad choices. I’ve been to Moka bro couple of times yet never fell in love with it. It’s always packed and people seems to enjoy the food, and I never get why. The first time I’ve been there was with colleagues. It was the first week I moved to Shanghai and my colleague recommended me the Half & Half, which is half a wrap with salad on the side (RMB 68). Second time I went there with a friend for brunch and had a berry smoothie bowl (RMB 48), and third time I went for brunch as well and had an avocado toast (RMB 38), and a rice bowl (RMB 60). The food were all ok but just ok, without any personality and were always unimpressive to me. Maybe because it’s a healthy spot so all the food taste like it is lack of spices and layers. The portion of the avocado toast was ridiculously small but the price was not small AT ALL, and everything were pretty pricy. 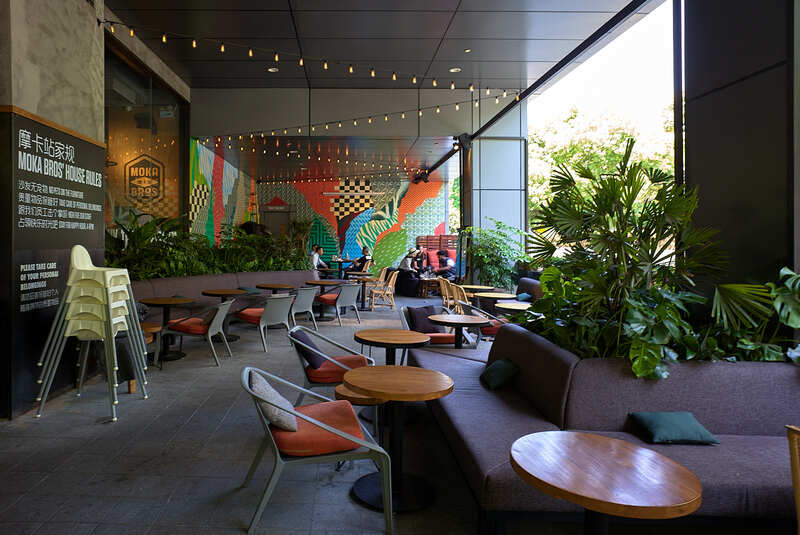 Some might say the ambience is nice and yes, it’s nicely decorated with pet friendly set up, while it’s always super crowded with long lines and loud talks and background music playing. I try to like the restaurant by choosing new dishes and visiting at different timings, but never fell in love with it. There’re just more places in Shanghai with quality food and quality seasoning. 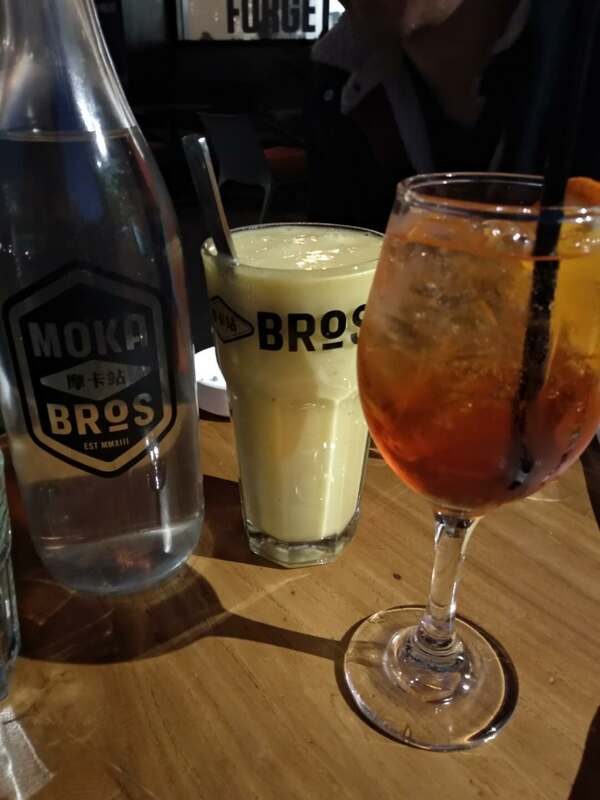 All day happy hour every Thursday at Moka Bros, including House wine, cocktails, and beers. 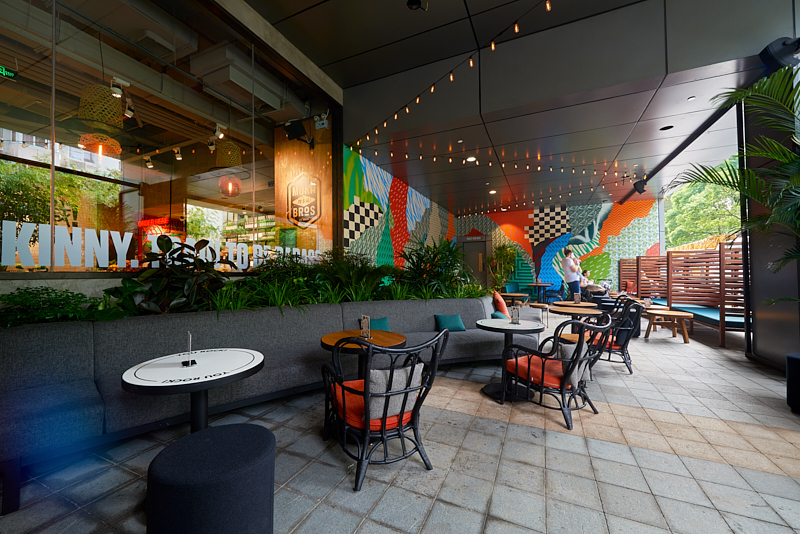 After the Yoga class taught by Chloe in the park, Moka Bros will provide a brunch set including vegan options. 188rmb. Moka Bros has a weekday breakfast special for early risers. Monday to Friday from 8am to 10.30am, get a free refill on your coffee with your breakfast order. Panther and Moka Bros organize MOVEMBER YOGA BREAKFASTS every Thursday in November! 20% of your spendings will be given to MOVEMBER FOUNDATION which fights male cancer. 45-min dynamic yoga class at 8am for 80rmb.